The graceful shoreline and sturdy cliffs of the Amalfi Coast inspired the Positano collection by Avanity. The fluid curves of the spout contrasted with the solid lines of the handles create a design that embodies both drama and function. 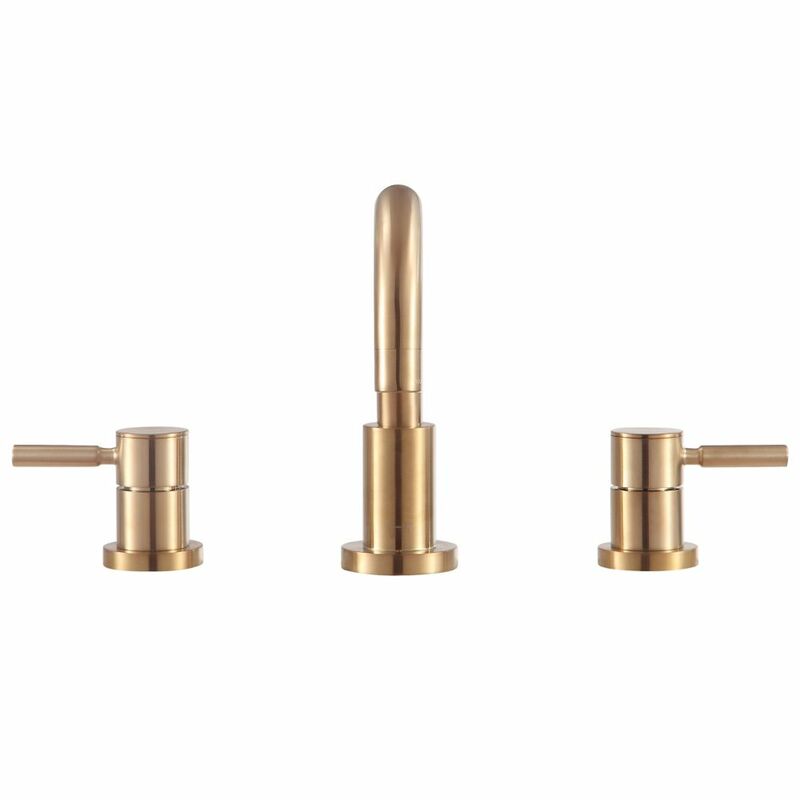 This 8 inch widespread 2-handle bath faucet features a rich matte gold finish. Positano 8 inch Widespread 2-Handle Bath Faucet in Matte Gold finish The graceful shoreline and sturdy cliffs of the Amalfi Coast inspired the Positano collection by Avanity. The fluid curves of the spout contrasted with the solid lines of the handles create a design that embodies both drama and function. This 8 inch widespread 2-handle bath faucet features a rich matte gold finish. Positano 8 inch Widespread 2-Handle Bath Faucet in Matte Gold finish is rated 5.0 out of 5 by 1. Rated 5 out of 5 by Sara from The vanity looks great! Beautiful and high quality! ... The vanity looks great! Beautiful and high quality!